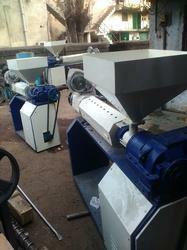 Pioneers in the industry, we offer nylon rod extrusion machine from India. Our organization specializes in offering a wide range of Nylon Rod Extruder Machine. These are engineered under the guidance of our experts and in accordance with industry defined parameters. These machines are supplied in various dimensions to ensure efficient performance, abrasion resistance and high conductivity. These are available in various sizes and have sturdy construction and high resistant. These are very economical which are available at reasonable prices.